It’s been over seven years since the end of the last recession, yet most states have not reinvested in higher education to pre-recession levels. In the paper, Past is Prologue: State and Local Funding for Higher Education In the Next Recession, authors Iris Palmer, Kim Dancy and Ben Barrett use data on enrollment, appropriations, and tuition over the last 15 years to predict how a future recession might impact state and local appropriations for higher education, as well as the enrollment changes each state might experience. Right now the average per-student tuition nationally is $6,006 (in 2015 dollars). For many states, tuition is projected to be over twice as high as the current U.S. average by 2022. “If current trends hold, public colleges and universities will struggle to maintain affordability for students at projected resource levels in the event of another recession, which would have adverse implications for students,” the authors state in the report. Using State Higher Education Finance (SHEF) data on enrollment, the authors estimate each state’s likely course of action in a future recession. 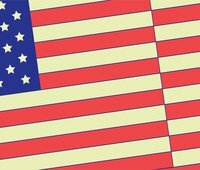 This data was then used to create composite rankings of all 50 states. California, Florida, Nevada, and Wyoming are projected to keep tuition below the 2015 average through 2022, even if a recession hits. Oklahoma, New Mexico, Utah and Wisconsin currently have “below-average” tuition and are projected to see spikes in costs under a new recession. New Hampshire, Oregon, and South Dakota are just few examples of states with above-average tuition revenue in 2015 that could see sharp increases in the event of another recession. Nevada, New York and Texas have historically committed to supporting public colleges during the past two recessions and may be better positioned to withstand any future shortfalls. A handful of states, including Delaware, Michigan, North Dakota, and Vermont, could end up with average tuition at public two- and four-year schools close to or above $20,000 per year. Delaware, Michigan, Minnesota and Colorado are projected to cut funding and increase tuition substantially in the next recession. 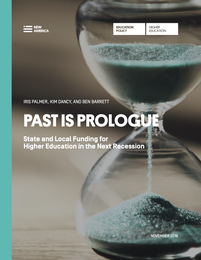 The authors suggest that reinventing how state higher education systems are financed could help solve the challenges state legislatures face during a recession, while ensuring higher education maintains adequate funding levels. The full report and rankings are available here.